In a recent manuscript by Musi and co-authors, a combinatorial approach was adopted to investigate the tauopathy-mediated mechanisms underlying human Alzheimer's Disease (AD) in post-mortem human brain tissue and transgenic mice1. Human neurodegenerative diseases comprise a heterogenous group of disorders, underpinned by complex interactions of cell-intrinsic and -extrinsic molecular mechanisms between multiple different neuronal and non-neuronal cell types. Understandably, the spatio-temporal isolation and investigation of specific pathogenic mechanism remain largely nebulous, and effective and efficacious disease-modifying therapies remain elusive. While the ordered assembly and accumulation of the microtubule-associated Tau protein into abnormal filamentous inclusions is the most common pathology among many neurodegenerative diseases, including Alzheimer's disease2, mechanisms underlying tau-mediated neurotoxicity are poorly understood. It has been previously reported that the accumulation of tau-containing neurofibrillary tangle (NFT) correlates closely with cognitive decline and cell loss in AD patients3. However, NFT formation does not induce programmed cell death (PCD) per se4, which suggests alternative non-PCD neurotoxic mechanisms are at play. Musi and co-workers employed different experimental modalities to further interrogate this cellular phenomenon. First, they performed transcriptomic analyses of post-mortem brain samples from human patients with NFT pathologies and uncovered the up-regulation of cellular senescence-associated gene pathways. Since mutations in the gene (Mtapt) encoding Tau protein, the most common being (P301L), causes familial forms of frontotemporal dementia5 the authors recapitulated the transcriptomic profile in the brains of aged rTg(tauP301L)4510 mice (tauNFT, two-to-six months of age), but not those from rTg(tauWT)21221 mice (named tauWT). These transgenic animals either express human mutant tau P301L or merely overexpresses human wild type tau 4R02 proteins, respectively. The tauWT mice acquire age-dependent tau-associated pathologies, albeit at a slower rate compared to the tauNFT, and have often been used to identify effects of elevated pre-pathogenic tau6,7. Since cellular senescence is a complex stress response, the authors were able to further identify activation of DNA damage (such as Cdkn1a and Cdkn2a); chronic tissue degeneration through secretion of toxic SASP, as well as aberrant mitochondrial bioenergetics in tauNFT murine brains. The authors demonstrated that senescence-associated Cdkn2a upregulation occurred with NFT onset and correlated with NFT density, which was specific to NFT tau pathology but independent of Ab plaque deposition. After validating the up-regulation of CDKN2A in human brains with histopathologically-confirmed tauopathy, Musi and co-workers utilised senolytics (Dasatinib and Quercitin) to remove senescent cells in the brains of advanced age (twenty to twenty-three months) tauNFT-Mapt-/- and non-transgenic-Mapt-/-. The pharmacological treatment with Quercitin resulted in significant long-lasting global benefits on cerebral blood flow and neurodegeneration, evident by reduction of AD-associated histopathological and radiological signs (reduction in cortical NFT burden, brain atrophy, neuron loss, and ventricular enlargement). Increasing literature supports the heterogeneous pathophysiologies underlying neurodegenerative diseases such as Alzheimer's disease, with contributions from the environment and the microbiome. Musi and co-workers combined multiple animal models (genetic modifications with aging) to provide an insight into the association between cellular senescence and tauopathy, as well as a novel therapeutic strategy. 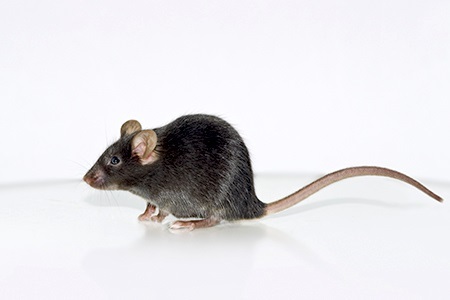 Taconic Biosciences' transgenic Tau model Tg(Prnp-MAPT*P301L) develops age-related neuropathologies similar to the transgenic tauNFT mouse utilised by Musi et al. However, the former expresses either human P301L or wild-type Mapt cDNA under the heterologous mouse prion promoter (MoPrP). The Tg(Prnp-MAPT*P301L) phenocopies human tauopathies with behavioral and motor disturbances related to development of neurofibrillary tangles (NFT). These signs and symptoms develop as early as 4.5 and 6.5 months in homozygous and hemizygous animals respectively, followed by gliosis and changes in long-term potentiation and depression at nine months. The significance of these findings are: neurofibrillary pathology that is linked to neuronal loss allow the interrogation of critical events in tau-mediated neurodegeneration; murine models to study the relationship of NFT with other related pathologies such as Aβ proteinopathies in Taconic's combined Tg(APPSWE)2576Kha Tg(Prnp-MAPT*P301L) transgenic mouse. Since the hallmarks of AD are Aβ plaques, NFT tangles, and cognitive deficits, Taconic's neuroscience portfolio provides a variety of validated transgenic murine models that facilitates the screening of novel drug candidates for treating AD and other neurodegenerative diseases. 1. Musi, N., Valentine, J. M., Sickora, K. R., Baeuerle, E., Thompson, C. S., Shen, Q. and Orr, M. E. (2018), Tau protein aggregation is associated with cellular senescence in the brain. Aging Cell. Accepted Author Manuscript. doi:10.1111/acel.12840. 2. Goedert, M. Tau filaments in neurodegenerative diseases. FEBS Lett, 592: 2383-2391. doi:10.1002/1873-3468.13108. 3. Arriagada PV, Growdon JH, Hedley-Whyte ET, Hyman BT. Neurofibrillary tangles but not senile plaques parallel duration and severity of Alzheimer's disease. Neurology. 1992 Mar;42(3 Pt 1):631-9. PMID:1549228. 4. de Calignon A, Spires-Jones TL, Pitstick R, Carlson GA, Hyman BT. Tangle-Bearing Neurons Survive Despite Disruption of Membrane Integrity in a Mouse Model of Tauopathy. J Neuropathol Exp Neurol. 2009 Jul; 68(7): 757-761. PMID:19535996. 5. Hutton M. Missense and splice site mutations in tau associated with FTDP-17: multiple pathogenic mechanisms. Neurology. 2001 Jun;56(11 Suppl 4):S21-5. PMID: 11402146. 6. Hoover BR, Reed MN, Su J, Penrod RD, Kotilinek LA, Grant MK, Pitstick R, Carlson GA, Lanier LM, Yuan LL, Ashe KH, Liao D. Tau mislocalization to dendritic spines mediates synaptic dysfunction independently of neurodegeneration. Neuron. 2010 Dec 22;68(6):1067-81. doi: 10.1016/j.neuron.2010.11.030. PMID: 21172610. 7. Santacruz K, Lewis J, Spires T, Paulson J, Kotilinek L, Ingelsson M, Guimaraes A, DeTure M, Ramsden M, McGowan E, Forster C, Yue M, Orne J, Janus C, Mariash A, Kuskowski M, Hyman B, Hutton M, Ashe KH. Tau suppression in a neurodegenerative mouse model improves memory function. Science. 2005 Jul 15;309(5733):476-81. PMID: 16020737. 8. Dawson HN, Ferreira A, Eyster MV, Ghoshal N, Binder LI, Vitek MP. Inhibition of neuronal maturation in primary hippocampal neurons from tau deficient mice. J Cell Sci. 2001 Mar;114(Pt 6):1179-87. PMID: 11228161. 9. Oddo S, Caccamo A, Shepherd JD, Murphy MP, Golde TE, Kayed R, Metherate R, Mattson MP, Akbari Y, LaFerla FM. Triple-transgenic model of Alzheimer's disease with plaques and tangles: intracellular Abeta and synaptic dysfunction. Neuron. 2003 Jul 31;39(3):409-21. PMID: 12895417.